create an easy display for the love holiday. 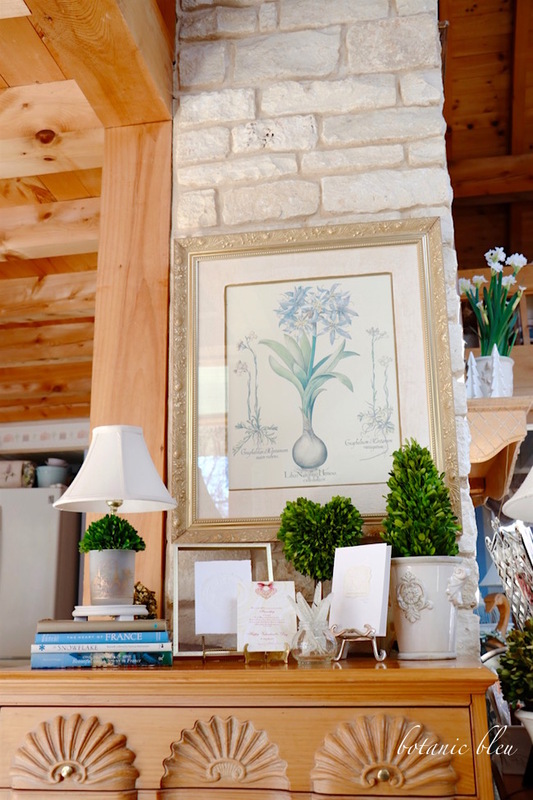 The pine chest of drawers that sits between the living room and kitchen is my favorite place to create arrangements all during the year. Whatever the season or whatever the holiday, only a handful of items on this pine chest is all that's needed to celebrate the occasion and to brighten up the whole area. 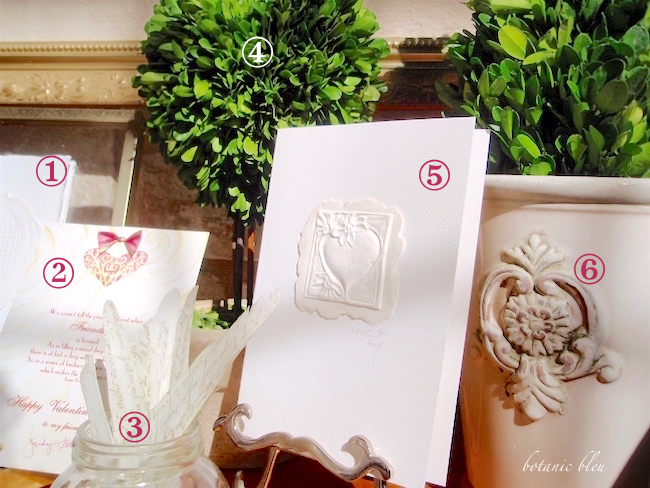 With handmade valentines, French script feathers, and preserved boxwoods, it is easy to add Valentine's Day cheer. Sparkling white sunshine also brightens the area. Sun streams in through the wall of windows and roof windows in the sunspace just out of sight to the left. The pine chest illustrates that a beautiful spot in your house can be created in just a small area. The end of the white stone fireplace is about three feet wide. Small in size, but big in impact. Decorating on chests, buffets, and shelves keep kitchen counters free for making meals, and keep dining tables free for serving meals. 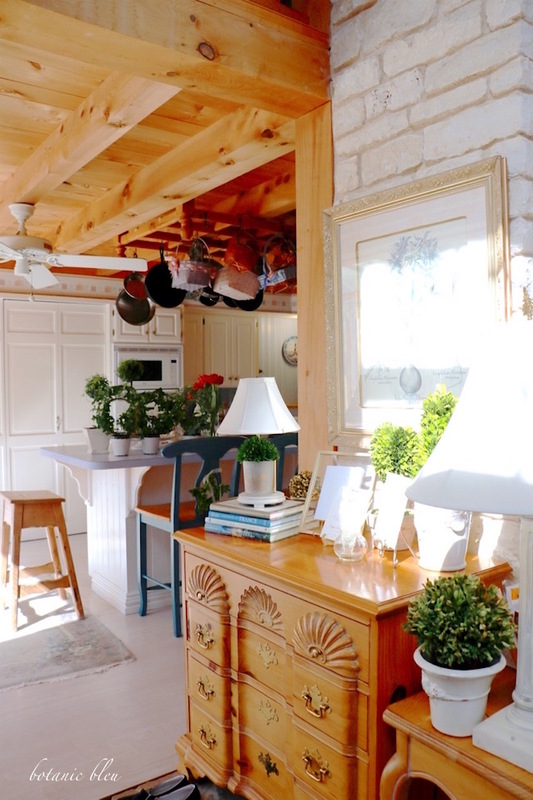 Plus, this chest is between the kitchen and living room where it can be seen from both areas. I would love to say I made the two handmade white Valentines (1, 5) shown, but the only Valentine I helped create is number 2. Valentine 1 is made from handmade paper pressed into a mold. 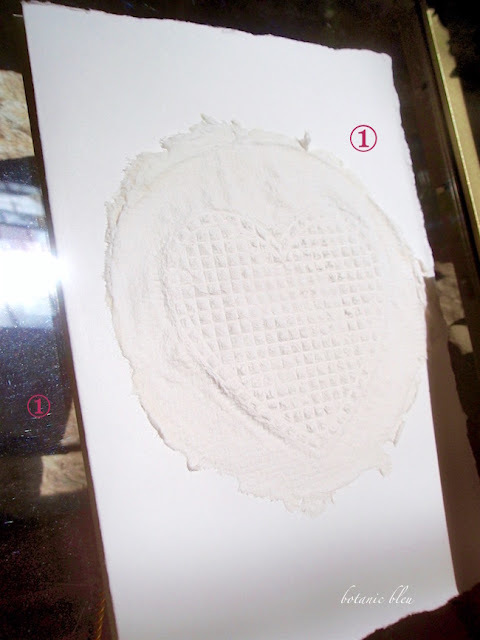 Cookie or chocolate molds are great for making handmade paper designs. A quick search on the internet will provide links for how to make handmade paper. I used new white paper napkins and a clay cookie mold to make a handmade paper angel ornament one Christmas. Valentine 5 is made the same way. Once the paper hearts are created, just attach them to textured heavy card stock. At the end of the post is also a link to another post describing how I created the French script feathers (3). 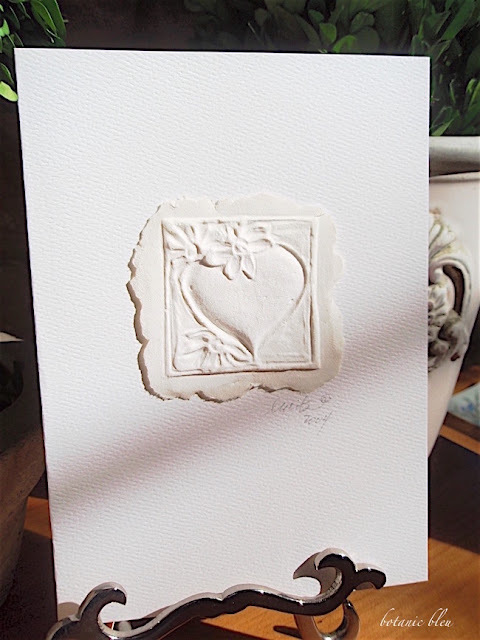 These are so easy to make with a French script rubber stamp. Think of the ways you can use these feathers. I'm thinking about a handmade Valentine with one of these feathers tied on the front of the card with a small red silk ribbon. 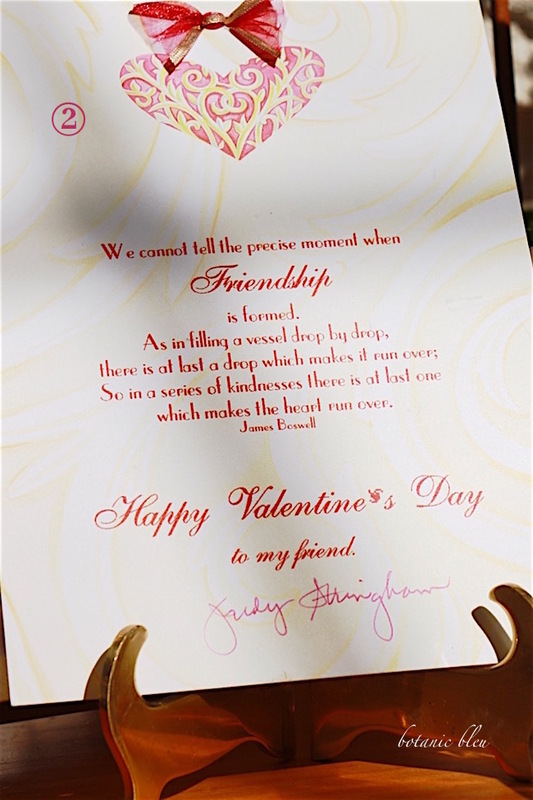 Inside, the card will have the friendship poem. Sweetest Valentine ever (2) for a sister, mother, daughter, best friend... Print the quote on ready made paper cards. Punch two holes at the top, and thread coordinating ribbon through the holes to tie a bow. At the end of the post is a link to a free printable of the quote about friendship. Since the quote was written in the 1700s, you do not have to worry about copyright. The link takes you to a page with four copies of the friendship quote. After printing the page, trim around the four quotes. One is about the right size to use inside a card made from a half sheet of copier paper or card stock. One of my all-time favorite preserved boxwoods is this fat topiary heart boxwood (4). Most of the year it sits quietly in a dark area to prolong its beauty. Last October was its seventh birthday. Each February the boxwood heart takes center stage in Valentine arrangements around the house. The large white French-style urn holds a cone-shaped preserved boxwood topiary (6). A small crumbled ball of paper in the bottom of the urn elevates the potted boxwood to just the right spot to fit the urn. Two or three valentines is all it takes to make a display for Valentine's Day. This is just a little touch of holiday fun to brighten winter skies of February. Happy Valentine's Day, dear readers. Drop by drop, your kind comments have made my heart run over. Link to the free friendship quote printable, personal use only. Link to the post about the stamped French script feathers. Links to more Valentine inspiration. 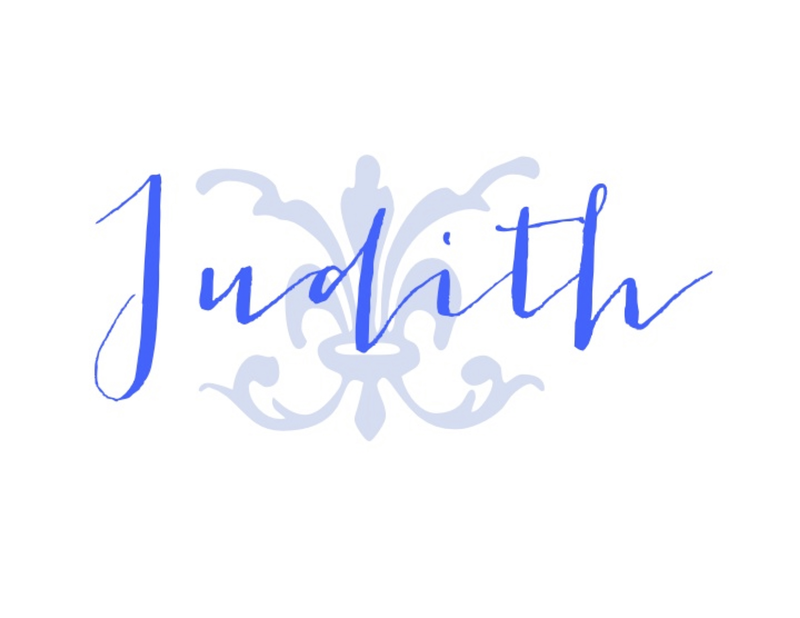 Judith, your home is filled with love and sunshine. I seems to sparkle every time I've seen snippets of your home. 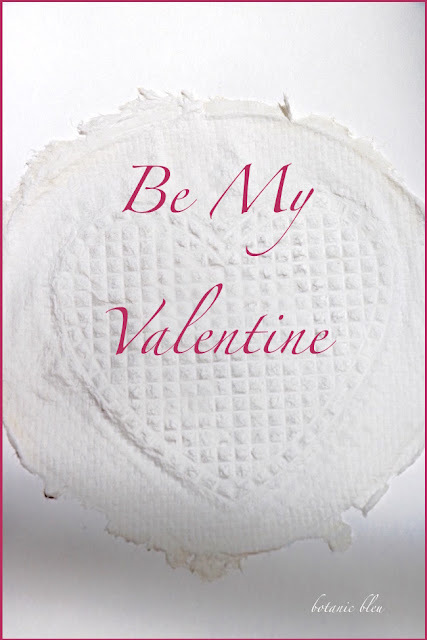 Of course, the handmade valentines touch my sentimental core. They are lovely. I've saved every handmade valentine I've ever received and put them out on a tray during February. They are little works of art that I appreciate dearly. Gifts from friends, gifts from the heart! Thank you for this beautiful post. I love the boxwood topiary! Oh, so pretty! I love those simply white yet elegant cards and how you've displayed them. I love it all! Your home is beautiful! Oh those cards are a work of art and I adore the heart shaped boxwood. Have a wonderful week. 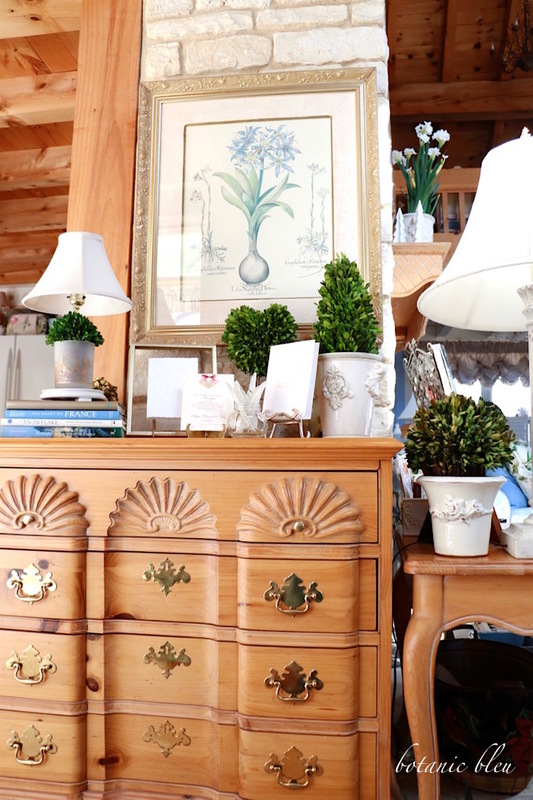 Your chest is beautiful with the preserved boxwood topiaries, pretty books, french urns,and handmade cards. Just lovely. Judith, your chest is a treasure, just gorgeous. I love where you have it in your home, enjoyed from the kitchen and living room. 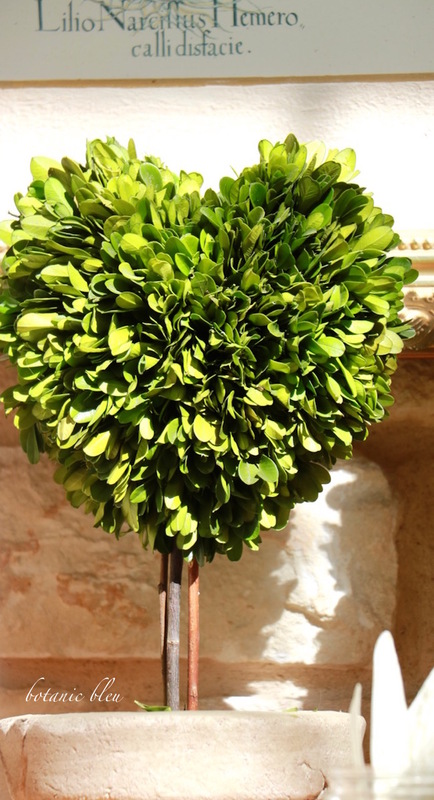 Love your valentines, lovely for a vignette along with the boxwood. I love preserved boxwood, I have several small wreaths. Your home is lovely and I always enjoy seeing peeks. 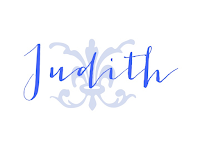 Those handmade paper cards are absolutely stunning, Judith! So is the pine chest of drawers, of course (this goes without saying):) I drool every time I see that fireplace and those beams in your home! So beautiful!